Robust waisted stone tools were recently discovered on Rossel Island, the easternmost island in the Massim region of eastern Papua New Guinea. These are the first waisted tools to have been found in the Massim, but they are otherwise known from Late Pleistocene-Early Holocene contexts in New Guinea and Australia, two of the major landmasses which comprised the Sahul supercontinent. The Rossel tools are described and compared to other waisted assemblages from across Sahul, the Bismarck Archipelago and the Solomon Islands, with the morphological and technological attributes of the Rossel assemblage similar to some of the earliest comparative examples. Although undated, it is suggested that the waisted tools from Rossel Island belong to a previously undocumented Late Pleistocene stone tool tradition in the Massim, at a time when many of the islands were much larger or formed a continuation of the New Guinea mainland. The implications of a potential Late Pleistocene time depth for the colonisation of the Massim islands are discussed. Shaw, B. (2017) “Late Pleistocene Colonisation of the Eastern New Guinea Islands? The Potential Implications of Robust Waisted Stone Tool Finds from Rossel Island on the Long Term Settlement Dynamics in the Massim Region”, Journal of Pacific Archaeology, 8(2), pp. 1-16. 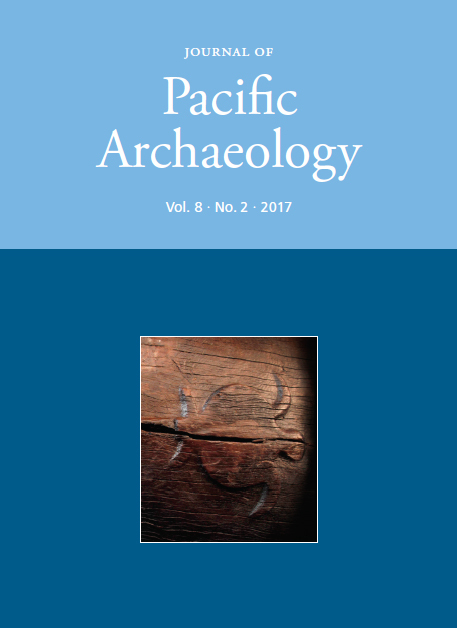 Available at: https://www.pacificarchaeology.org/index.php/journal/article/view/234 (Accessed: 22April2019).